In 1984 Tom Lewis joined Trammell Crow Residential as its Regional Partner in the southwest. Based in Phoenix, their primary business was multi-family development and management. In 1986 Tom started Trammell Crow Homes. In 1991, Tom purchased his partner's interest in Trammell Crow Homes and founded T.W. Lewis Company. For the next 20 years, T.W. Lewis earned a solid reputation for quality and customer satisfaction and was considered by many to be one of the best homebuilding companies in America. T.W. Lewis Company won many prestigious awards, including America's Best Builder in 1998 and the National Housing Quality Gold Award in 2009. In recognition of the consistent performance of T.W. Lewis, Tom Lewis was the 1st inductee into the National Housing Quality Hall of Fame. In 2012, Tom transitioned out of homebuilding and sold that portion of the business to David Weekley Homes, a large private homebuilding company who shared the values of quality and outstanding customer service. From 2012 thru 2016, T.W. Lewis actively engaged as a partner with David Weekley Homes in Phoenix. We are now focusing on philanthropy, luxury leasing & sales, and other real estate investments. For over 25 years our principles and values have remained the same. We continue to emphasize integrity, quality and long term relationships with all of our investments and philanthropy. Tom Lewis is the Founder, Owner and CEO of T.W. Lewis Company, a Phoenix, Arizona, based real estate investment company known for its quality and outstanding customer service in the homebuilding industry. T.W. Lewis Company, founded in 1991, has received numerous industry awards including America's Best Builder in 1998 and the National Housing Quality Gold Award in 2009. 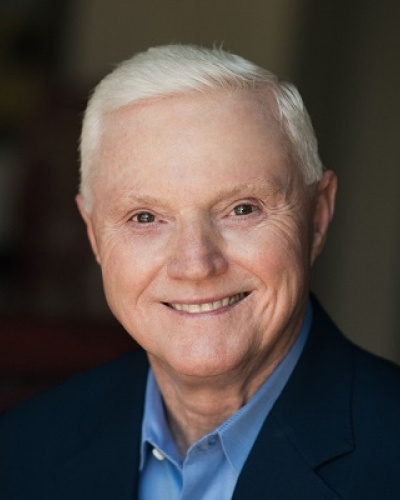 Individual awards given to Tom include: Arizona Real Estate Entrepreneur of the Year by Ernst & Young in 1994, Arizona Business Leadership Award in 2006 and the Arizona "Good Scout" Award from Boy Scouts of America in 2007. He was also honored as a Significant Sig by the Sigma Chi Fraternity in 2007 and received the University of North Carolina MBA Alumni Merit Award in 2011. In 2013, Tom received a Lifetime Achievement Award from Professional Builder Magazine and the National Housing Quality Award Committee and was named the first inductee into the National Housing Quality Hall of Fame. In 2015, Tom was named to the University of Kentucky Hall of Distinguished Alumni, and in 2018, he received the Adams Entrepreneurial Pioneer Award from UNC's Kenan-Flagler Business School. Tom received his bachelor's degree in Mechanical Engineering from the University of Kentucky and his Master's in Business Administration from the University of North Carolina at Chapel Hill. He is a former Chairman of the Arizona Chapter of Young President's Organization and a member of World President's Organization and CEO International. Kathleen joined T.W. Lewis in January 2018 and is responsible for managing all financial and operational functions within the company, including the T.W. Lewis Foundation. 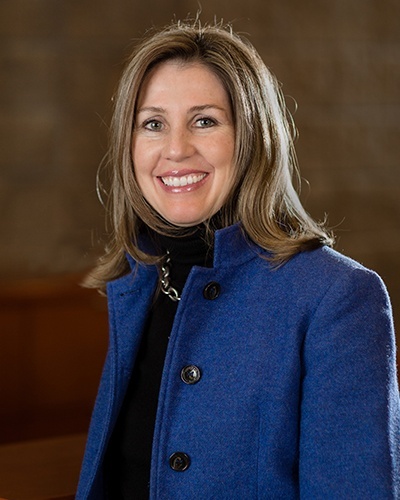 Kathleen holds a BS in Business Administration and Accountancy from the University of Notre Dame and an MBA in Finance and Real Estate from Northwestern University. 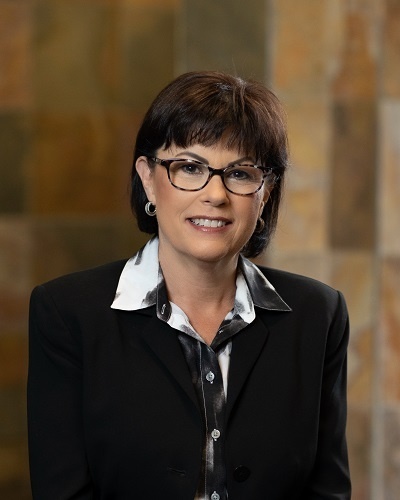 Kathleen has spent her career in real estate finance and business development leadership roles at DCT Industrial, DMB Associates and Hardin Capital. During her tenure, Kathleen was instrumental in due diligence, acquisition, and strategic planning for development and operational assets. Martín began his tenure with T.W. Lewis in 2018. His responsibilities include management of the financial portfolios for the Company and the Foundation. He also leads sourcing, structuring and due diligence of direct deals and fund investments. Prior to T.W. 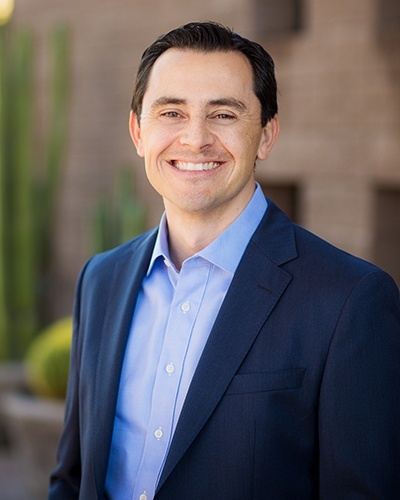 Lewis, Martín served as a Director for SunChase Holdings, a Scottsdale-based Family Office. His background also includes corporate finance and lending roles at Intel and several financial institutions. 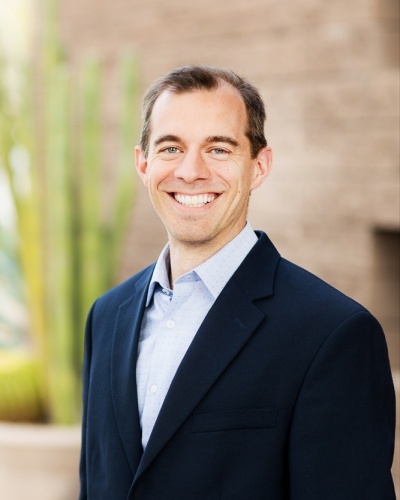 He holds a bachelor's degree in Finance from the University of Arizona, a Master in Business Administration from Arizona State University and a CFA Charter. Ben joined the T.W. Lewis Foundation in 2019. He brings experience and expertise in the nonprofit sector and philanthropy to his role as Foundation Director. Ben graduated with a degree in Economics from Hillsdale College. He has been to numerous countries while working with think tanks such as the Foundation for Economic Education. While at the Kern Family Foundation in Wisconsin, he led the incubation and spinoff of the now national organization, Made to Flourish. Most recently, Ben was Executive Director of The Constellation Network in Kennett Square, Pennsylvania. Christa Cooper is Owner and Designated Broker of CC Real Estate Company. 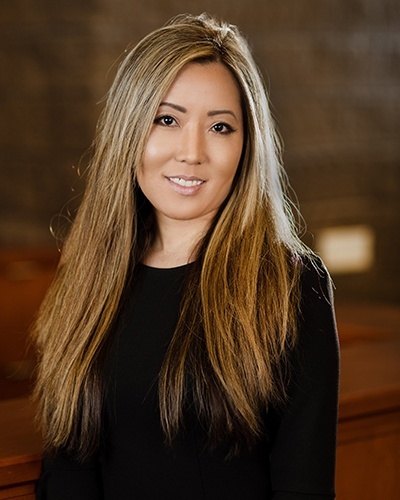 She is the lead real estate expert and has sole responsibility for listing, leasing, and selling properties owned, built, and developed by T.W. Lewis. An experienced entrepreneur, she has used innovation, energy and common sense to achieve success in the real estate industry and in the services sector. Brian joined T.W. Lewis in 2013 and is responsible for financial analysis, tax reporting, and compliance review for the wide range of entities and activities associated with investments and philanthropy. Brian holds a degree in economics from the University of Connecticut complimented by a certification in quantitative economics. 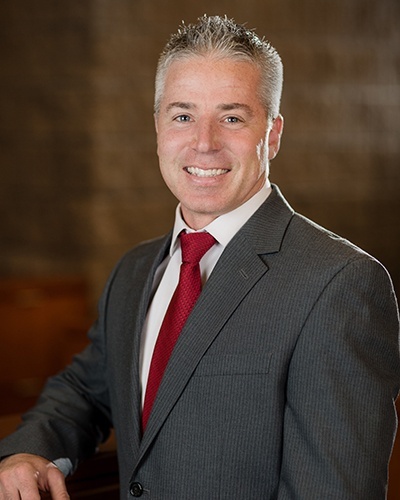 He is a CPA in the state of Arizona, a Certified Fraud Examiner (ACFE), and a member of the American Institute of CPAs (AICPA) and the Arizona Chapter of Certified Fraud Examiners. Prior to joining T.W. Lewis he was the controller of an Arizona headquartered multi-state consolidated group of privately owned companies in the transportation and construction industries. Mali joined T.W. Lewis in October 2018 and is responsible for full cycle accounting and month-end reporting for multiple entities. A University of Arizona graduate with a Bachelor's of Science in Accounting, Mali has diverse experience in the startup and sales entrepreneurial industry. Dana Joined T.W. Lewis in August of 2017 as Executive Assistant to Tom Lewis. 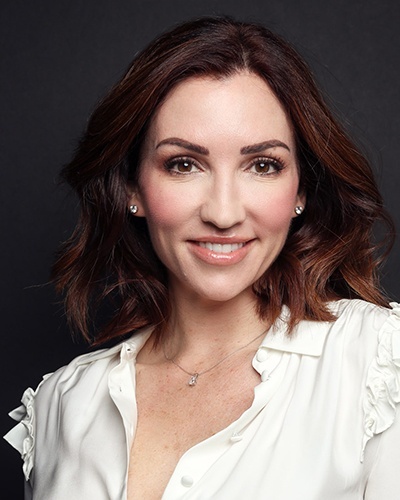 Dana has a diverse professional background, including in-depth experience in supporting C-Suite Executives, Outside Sales, Marketing, Project Management and Property Management. Dana holds a B.S. in Marketing from Arizona State University. There are no secrets to success, so don't waste your time looking for them. Success is the result of perfection, hard work, learning from failure and persistence. Deserve victory. The harder you work, the more you deserve it. The more you deserve it, the more you get it. The only thing more important than the will to win is the will to prepare to win. Most people that get ahead do so with the time that others waste. Nothing in the world can take the place of persistence. Talent will not. Genius will not. And education will not. Persistence and determination alone are omnipotent. Hard work is where self-worth and self-esteem begin. Hard work leads to competence. Competence leads to confidence. It takes confidence to succeed, and it all starts with hard work. We ask God for strength and He gives us difficulties to make us strong. We ask Him for wisdom and He gives us problems. Don't be afraid to fail. Everybody else has! We are all ignorant. Just about different things. With life there is change and with change there is conflict. The key to life is in how you deal with the conflict. In life there is no lasting success or failure, only lessons. Life will continue to present you with difficult circumstances until you learn each lesson. Looking back we see with great clarity, and what once appeared as difficulties now reveal themselves as blessings. Life is not the way it's supposed to be. It's the way it is. How you cope with it is what makes the difference. Accomplished people come to wisdom through failure. We get very little wisdom from success. You can win 80% of the time if you just show up, 90% of the time if you show up with a plan, and 100% of the time if you show up, have a plan, and are committed. People that don't have plans get used by people that do. Without commitment, success is impossible. With commitment, all things are possible. If I had 8 hours to chop down a tree, I would spend 6 hours sharpening my axe. To increase your self-esteem, just start doing more things that are esteemable. Align yourself with islands of health and strength. Work with people that want to work with you. Shoot elephants, not squirrels. Things may come to those who wait, but only the things that are left behind by those who hustle. In the end, you will be judged not by what you believed, planned or dreamed, but by what you did. Life is a journey of the heart that requires the mind. Not the other way around. Maybe the most compelling question of all is--what are you doing for others? Be willing to offer others the benefit of the doubt. Perhaps life simply gave them tougher problems than they could solve. Each of us will one day be judged by our standard of life, not our standard of living; by our simple goodness, not our seeming greatness; by our measure of giving, not our measure of wealth. Mankind's greatest need is better understanding of man. All are victims of circumstance, and all deserve compassion. Probably the kindest thing that you can do for yourself is to help others. Resolve to be tender with the young, compassionate with the aged, sympathetic with the striving, and tolerant of the weak and the wrong. Sometime in your life you will have been all of these. In business and in life, our rewards are directly related to how we serve others. It is better to give than to receive. And it usually comes back to you 100 times. Happiness is unrelated to success. Success follows hard work, talent and luck. Happiness naturally occurs when you grow as a person and help others. There are only two ways to live your life. One, as though nothing is a miracle. The other is as though everything is a miracle. Wherever you go, be there. Happiness is a wonderful thing, but it is not the purpose of life. The purpose of life is to be useful, to be responsible, to be honorable, to help others, to stand for something, to learn, to grow, to strive to be the best that you can be. That is the purpose of life. Happiness comes indirectly as a dividend. If we make it the object of pursuit, it will lead us on a wild goose chase. Personal happiness begins when you realize that it is 100% up to you. Don't worry about your passion. That comes with time. Find your talent-what you're naturally good at with little or no effort--and work on that. It's your best chance at making a difference in this world. I cannot give you the formula for success, but I can give you the formula for failure--try to please everybody. You were born an original. Don't end up a copy. Don't envy anyone that you don't know well. Whatever you become--be a good one! God grant us the serenity to accept those things we cannot change, the courage to change the things we can, and the wisdom to know the difference. Don't care too much about what others think about you, but act in ways you will be proud of. It's easy to avoid criticism: say nothing, do nothing, be nothing. If you're green, you grow. If you're ripe, you rot. You'll never reach new horizons if you are afraid to lose sight of the shore. Go out on a limb--that's where the fruit is. Risk and reward go together. If you want the rewards, you will have to take the risks. On the plains of hesitation lie the bleached bones of countless thousands, who, at the dawn of victory paused to rest. And while resting, died. Twenty years from now you will be more disappointed in the things you didn't do than the things you did. The problem is that when you don't risk anything, you risk even more. Success requires courage. Courage is the golden mean between recklessness and caution. Leadership is the ability to inspire others to achieve a common dream. The three most important questions that we ask of a leader are: Where are we going? Can I trust you? And do you care about me? There are three kinds of people: one who likes to watch the parade; one who likes to march in the parade; and one who likes to lead the parade. A leader is the one with the most vivid dream. If you want your dream to come true, you first have to have a dream! To be a leader you have to earn the trust of others. Trust is the natural result of trustworthiness. We do not receive wisdom from others. We must discover it for ourselves after a journey that no one can take for us. Risk more than others think is safe. Care more than others think is wise. Dream more than others think is practical, and expect more than others think is possible. Believe in something big! Your life is worth a noble motive. There are only two times to make a decision: when you have all the information, and when you have to. Good decision making begins with research and ends with carefully evaluating the alternatives. Life can be hard. And if you make bad decisions, it can be really hard! When it comes to being successful in life, having good judgment and making good decisions are much more important than just being smart. It is not what you don't know that will hold you back. It is what you know for sure that just ain't so. Decide to be a lifelong learner. Education is not something to prepare you for life; it is a continuous part of life. Challenge your own assumptions, for they are your windows to the world. Scrub them often or the light won't come through. Two roads diverged in the woods. I took the one less traveled by, and that has made all the difference. It is good to understand your problems, but put your energy into the solutions. One measure of a person's character is how they treat people that they want nothing from. We cannot rise above the limitations of our character. How a person plays the game reveals part of his character. How he loses reveals it all. Thoughts lead to actions. Actions lead to habits. Habits lead to character. Character leads to destiny. Your reputation is what other people think you are. Your character is what you really are. The true test of a person's character is how they handle power. It is easy to make decisions when you know your values. Good Character is more to be praised than talent. Most talents are a gift. Good character, by contrast, is not given to us. We have to build it piece by piece. T.W. Lewis takes no credit for the originality of these quotes.